Description: Brick built village house located 52km from the beach and 68km from Varna airport. The village is big one. There are medical services, a school, a post office, shops and regular transport to the town of Dobrich. The village is situated 18km away from the town of Dobrich. 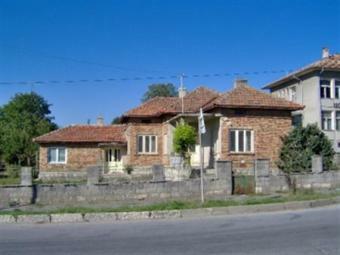 The house consist: 4 rooms, entrance hall and Bulgarian style kitchen and a basement. It has a big plot of 1450 s, enough space to build 2 more houses. This house is in need of the normal improvements to bring up to a good standard, internal bathroom and modern kitchen etc, but with a little work this could be an ideal holiday home near to the sea. The house is situated in the center of the village near the school. The house needs some cosmetic renovation work. The property is supplied with electricity and running water, telephone line can be connected. Foreigners have already appreciated the quietness and the convenient location of the village and purchased vacation properties there!